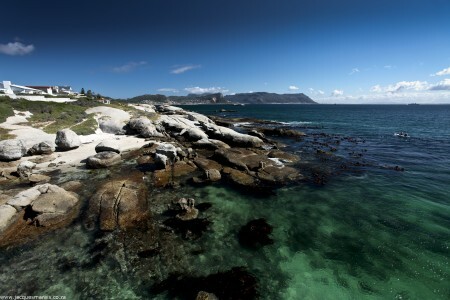 The City of Cape Town and South African National Parks (SANParks) have initiated a joint project to better protect the popular Burghers’ Walk, the scenic beach area located from Bellevue Road towards Windmill Beach that is managed by the City. It is located adjacent to the Boulders Penguin Colony Facility, Seaforth Road, which is managed by the South African National Parks (SANParks). 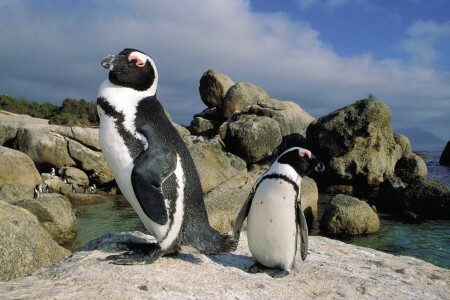 Burghers’ Walk, together with Boulders Beach, provide an important habitat for a large African Penguin colony. As part of this joint management plan, Burghers’ Walk will be temporarily closed from tomorrow, 1 July 2011, until after the penguins’ breeding season, to allow for the uninterrupted breeding of the penguins inhabiting the area, as well as for the rehabilitation of the site. “Burghers’ Walk in Simon’s Town is known for its large African Penguin (Spheniscus demersus) colony, which has provided a great attraction and aesthetic appeal to both tourists and residents visiting the area on a daily basis. The City of Cape Town wants to ensure that we protect our environmental areas for the benefit of residents, but also the many visitors who are attracted to these beautiful sites,” said the City’s Mayoral Committee Member for Tourism, Events and Marketing, Councillor Grant Pascoe. In the SANParks section of the area, penguin viewing by visitors is controlled and managed, whereas in the City’s section there is no control of visitors, their conduct and their activities. It has been observed that people often attempt to interact with the birds, and it is feared that such an interaction could pose a threat or danger to the well-being of the penguin population. This challenge is compounded further by the fact that the African Penguin has recently been listed under the International Union for Conservation of Nature (IUCN) as “endangered,” imposing an even greater responsibility on the authorities to ensure that this species is protected. Although SANParks will assist the City with the rehabilitation of the area, the City as the landowner will remain in control of this area, and access will remain free of charge after completion of the rehabilitation. Trampling of the area – the area is now so degraded that only exotic species are left in the high impact zone. Soil erosion – the paths used are eroded and getting worse by the day. There are clear signs of soil displacement. Trampling of penguin nests – there are several examples of this on site and staff have to monitor to check that the birds are not trampled to death, injured or trapped in a collapsed nest. Direct disturbance of penguins – people are going right up to penguins and trying to touch them and even swinging camera slings and handbags at them to try and get “cute” photographs. There have been incidents of people picking up penguins. In such cases, penguins may bite the person who then responds by hitting, pushing or dropping the penguin. Penguins have been disturbed during moulting season. This is essentially a 14 – 21 day starvation period when the penguin does not go to sea to feed because it does not have any waterproof feathers. If disturbed, the starvation period is extended and the bird may die if it must mobilise energy from vital organs during moult or is too week to feed after moult. When the birds are disturbed during breeding, they may abandon either their eggs or their chicks, which will result in the chicks starving to death. Disturbances to the local residents in the area who have properties overlooking the coastline. Many have lived in the area for years, but are continually disturbed by the noisy groups who damage the ecologically sensitive area. The City recognises the site’s importance for Cape Town’s tourism industry, as well as to residents in the area, and has therefore developed a management plan with SANParks to ensure that the site is preserved and the endangered penguins are protected. It was decided to temporarily close Burghers’ Walk now as these penguins breed between winter and spring. The City’s and SANParks’ efforts are supported by the National Department of Environmental Affairs: Oceans and Coasts Branch, the Southern African Foundation for the Conservation of Coastal Birds (SANCCOB), the South African National Biodiversity Institute (SANBI), Bird Life South Africa, as well as the Cape Bird Club. “We now ask residents and tour operators to also give us their support for this decision and to recognise the long term benefits that closing this site temporarily will hold. These facilities are not only important for tourism, but for the benefit of all residents. We appeal to the public not to visit Burghers’ Walk during this time and we rely on their cooperation and understanding in our effort to protect the African Penguin, while ensuring the suitability of the site for public access,” said the City’s Mayoral Committee Member for Community Services, Councillor Tandeka Gqada. The City is also appealing to tour guides to educate the tourists they take to Boulders’ Beach once the site reopens. Tourists should be made aware of the importance of this area and the need to protect African Penguins. “Tour guides need to assist the City in protecting this area by asking tourists not to make too much noise, not to trample the area and not to disturb the penguins. We recognise that tourism in this area has been a long-standing tradition, and that tourism and penguin protection are not mutually exclusive. We had already started bilateral engagement with the tourist guide industry, and received support and commitment from them for our efforts at this site. When visitors to the area are aware of the importance of protecting the area, it will not be necessary to close the site temporarily again,” said Councillor Pascoe. Signage will be erected in the area to indicate the temporary closure. Once the penguins’ breeding season has come to an end and the City and SANParks are satisfied with the extent of the rehabilitation of the area, the site will be re-opened to visitors after the breeding season in late spring.